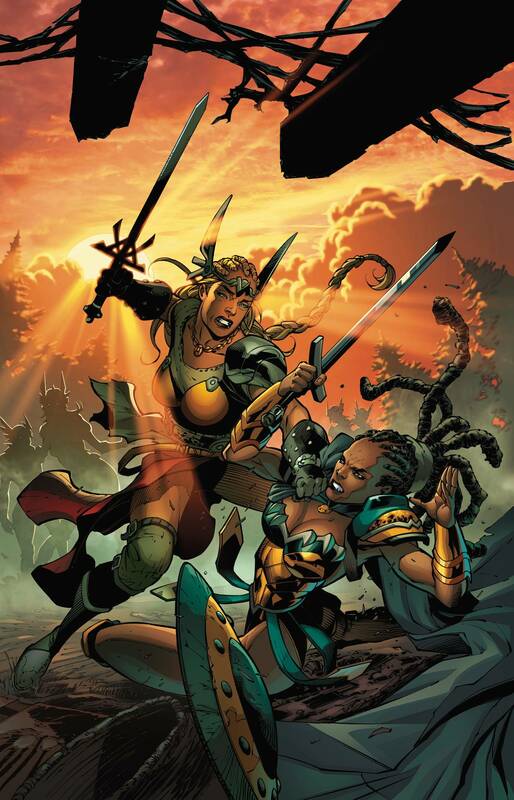 It's Amazons versus Valkyries! Hessia and her warriors are closing in on the Storm Giants who are holding their comrades prisoner when a group of fierce Nordic female warriors misinterpret their intent and launch an all-out assault. Will even the Amazons' new Viking allies be able to help them against these god-like beings?